Chemotherapy drugs destroy not only cancer cells, but also normal cells that are produced at a rapid rate. Because hair follicle cells reproduce quickly, chemotherapy causes some or all body hair to fall out. The hair on the scalp, eyebrows, eyelashes, underarms, and pubic area may slowly thin out or may fall out in big clumps. Hair regrowth usually starts one to three months after maintenance starts or intensive chemotherapy ends. The color and texture may be different from the original hair. Straight hair may regrow curly; blond hair may be brown. Toward the end of maintenance, some children's hair begins to thin out again. The following suggestions for dealing with hair loss come from parents. • When hair is thin or breaking, use a brush with very soft bristles. • Avoid bleaches, permanents, curlers, blow dryers, or hair spray, as these may cause additional damage. • If hair is thin, use a mild shampoo specifically designed for overtreated or damaged hair. • A flannel receiving blanket placed on the pillow at night will help collect hair that is falling out. • Recognize that hair loss is traumatic for all but the youngest children. It is especially hard on teenagers. 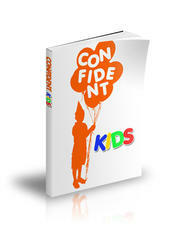 • Emphasize to your child that the hair loss is temporary and that it will grow back. During the first year after Belle was diagnosed (and lost her hair), her brother and I found some Barbie hats/bandanas with wigs attached at the local dollar store. So the Barbies whose heads were shaved had something to wear while their hair grew out! Belle also made numerous outfits for "chemo Barbie" out of supplies at the hospital: napkins, masks, various kinds of tape. She even made furniture out of straws and stuff! • Try to have your child meet children in maintenance or off therapy, so they can see for themselves that hair will regrow soon. • Allow your child to choose a collection of hats, scarves, or cotton turbans to wear. These are tax-deductible medical expenses, and may be covered by insurance. • To order several styles of reversible all cotton headwear for girls seven to twelve and women, contact Just in Time, in Philadelphia, Pennsylvania, (215) 2478777, or online at http://www.softhats.com. Another company—Hip Hats—sells hats with human hair that are soft, comfortable, and fun to wear. For a free catalog call (877) 447-4287 or (813) 229-2377 if calling from outside the US. • If your child expresses an interest in wearing a wig, take pictures of her hairstyle prior to hair loss. Also, cut snippets of hair to take in to allow a good match of original color and texture. The cost of the wig may be covered by insurance, if the doctor writes a prescription for a "wig prosthesis." This should include the medical reason for the wig such as "Alopecia due to cancer chemotherapy." To find a wig retailer, look in the yellow pages of your phone book under "Hair Replacements, Goods, and Supplies." The American Cancer Society, (800) ACS-2345, and some local cancer service organizations offer free wigs in some areas. • Separate your feelings about baldness from your childs feelings. Many parents rush out to buy wigs and hats without discussing with their child how he wants to deal with his baldness. Allow your child to choose whether to wear head coverings or not. Let it be okay to be bald. Consider whether hair loss bothers your child. If it bothers him, then you should pursue things to hide or resolve the problem. If it bothers you but not him, then focus your efforts on trying to deal with your concern and anxiety. Think of this as an opportunity to teach him that it is what is on the inside that counts. In today's culture that places so much emphasis on outward appearance and conformity, this is a valuable lesson. It has been my experience that kids who have visible late effects after cancer treatment can adjust quite well to external differences if they are given a lot of support at home. As a parent, if you let him know he is a great kid, he will believe it. Hair loss is quite variable for children being treated for leukemia. 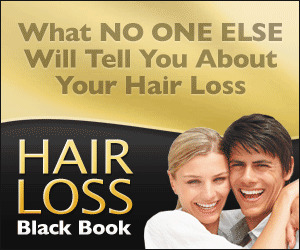 Some only lose part of their hair, some have hair that thins out, and some quickly lose every hair on their head. Preston never completely lost his hair, but it became extremely thin and wispy When he was first diagnosed, a friend bought him a fly-fishing tying kit, and he became very good at tying flies. He even began selling them at a local fishing shop. When his hair began to fall out, we would gather it up and put it in a plastic bag. He started tying flies out of his hair, and they were displayed in the shop window as "Preston's Human Hair Flies." He was only 11, but the shop owner hired him to help around the shop. He became very popular with the clientele, because everyone wanted to meet the boy who tied flies from his own hair. He really turned losing his hair into something positive. Three-year-old Christine's hair started to fall out within three weeks of starting chemo. She had beautiful curly hair, but she never talked about losing it, and I thought it didn't bother her. Occasionally she would wear a hat or the hood of a sweatshirt, but most of the time she went bald. One day, I learned how she really felt. We were talking about the different colors of hair in our family, and she began shouting, "I don't have brown hair! I'm bald, just like a baby." 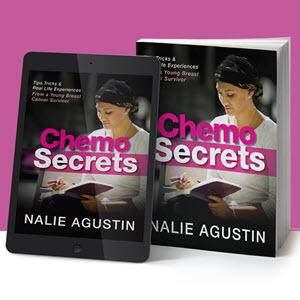 The chemo greatly affected Meagan's hair During maintenance, it came back in lush and curly, then after a few months it began falling out again. This was very upsetting. She hasn't gone completely bald again, but it remains very thin and unhealthy hair, while others in the same stage of treatment have beautiful hair back again. My daughter, Katie (age 11), cut and dyed her hair bright fuchsia as soon as she realized she had cancer. It made her hair seem less hers than something to play with. Then, when she started receiving chemo, she asked that it be cut and shaved really short like some of her boy friends in her class. Our local coach came over and shaved it for her. It was only about a quarter of an inch long at that point. Then when it fell out a week later, it was no big deal for her, because she had already taken it off. That was her way of controlling the situation. Now we celebrate her baldness by painting henna designs on her head and using face paints to paint fancy designs whenever we go somewhere special, or visit the hospital. On July 4th, we painted stars and rockets in red, white, and blue. On our last visit to the hospital, we painted a floral vine with flowers and lightning bolts above her ears to show she's hot stuff. She even had her sisters add two eyes at the back of her head— to watch the doctors and nurses when her back is turned. Everyone loves to check out her head when she comes in the hospital, and she receives tons of attention as a result of it. Also, now she's beginning to play with the rub-on tattoos and is placing them where the doctors like to inspect, just to surprise them when they pull up her shirt. She also loves to dress up her head with funny wigs and masks. Last week she was dancing in the front yard with a black/blue fright wig, monster ears, a Grateful Deadhead shirt and black platform heels. She literally stopped traffic! It was a riot. She absolutely refuses to talk to most of her doctors and nurses, and is extremely shy, but this is her silly way of poking fun at them and the whole situation with her cancer. Is hair loss a sig of leaukemia in children?